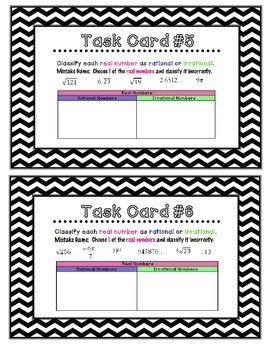 This is set of Team "Task Cards" on the concept of Solving Real Numbers: Rational or Irrational. 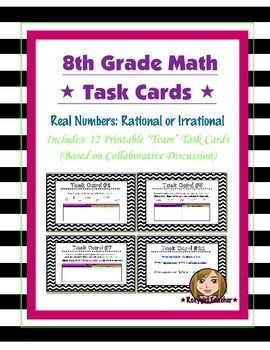 Included is a set of 12 "Task Cards" with questions classifying real numbers as rational or irrational. 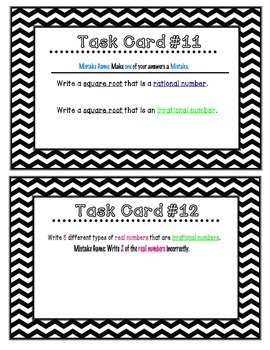 This is meant to be a collaborative task because included are task cards with the "Mistake Game" and students purposely make mistakes so the team members can determine the mistake and justify their reasoning. 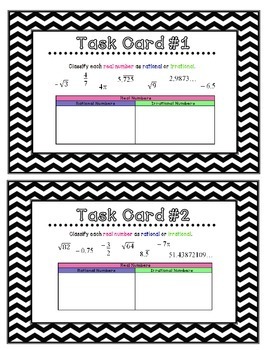 * This Collaborative Task is best when done with a team whiteboard.